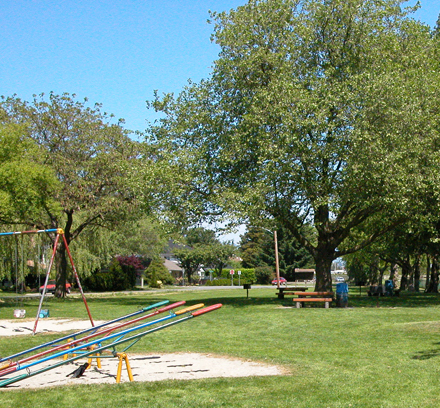 Burkeville Neighbourhood Park is a 3.17 acres park located in the Sea Island area near the Vancouver International Airport. 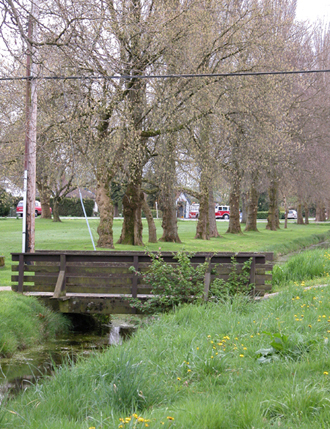 It is an unique park that follows a historic slough with many large, mature trees and picnic areas in open grass lawns. 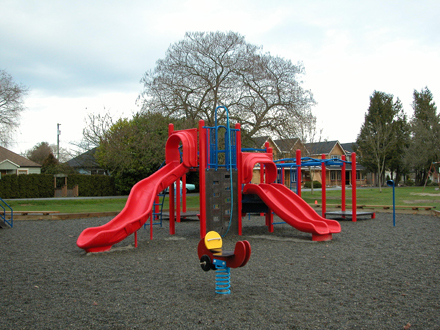 Additional park amenities include a 1 full size basketball court, a tennis court and 2 playgrounds.